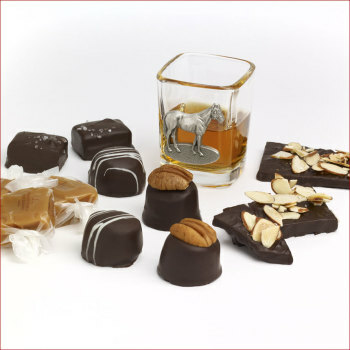 For years Bourbon Balls were a little known Southern delicacy. 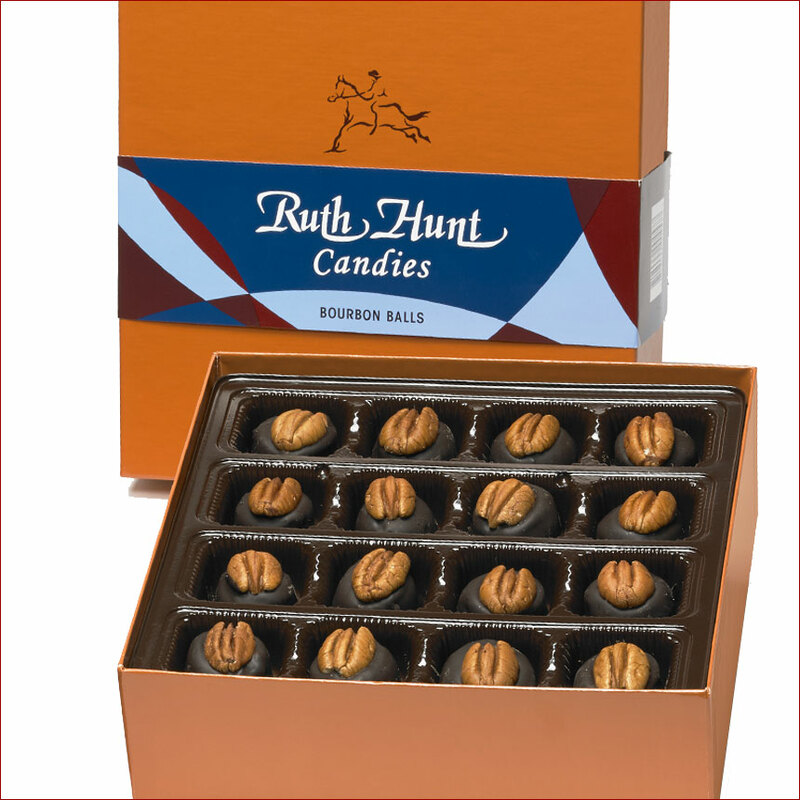 Ruth Hunt Candies worked to perfect the craft of making the perfect Bourbon Ball. 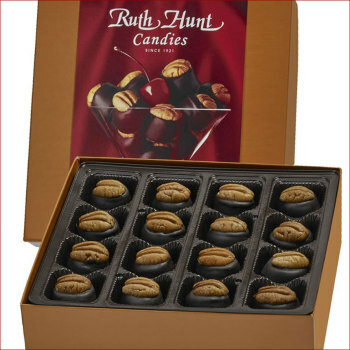 Nearly 20 years ago, at the eve of the world's love affair with Bourbon, Ruth Hunt Candies partnered with one of the finest bourbons ever produced: Woodford Reserve® Kentucky Straight Bourbon Whiskey. Adding a small amount of this famous Bourbon to our fondant of real cream and dairy butter, the perfect Bourbon Ball was formed. 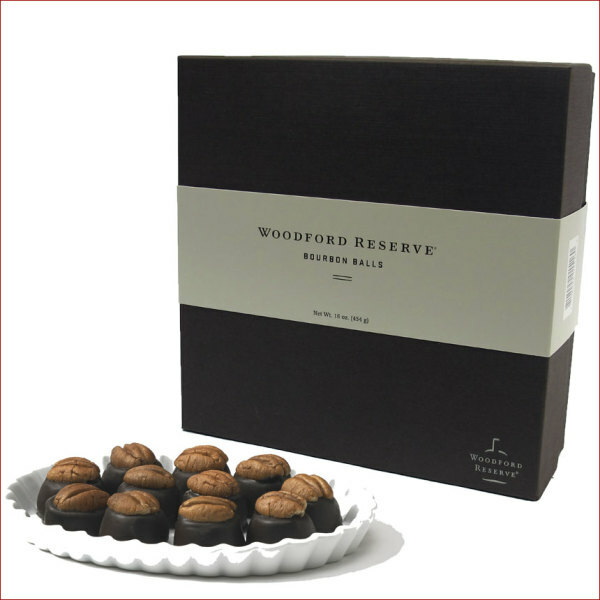 Dipped in rich chocolate and topped with a perfect pecan, these Bourbon Balls have gained a reputation of excellence. That's why they are preferred by discriminating tastes across the country. Woodford Reserve® Sampler, 20 oz.